Sierra Club Florida News: Be there tomorrow! May 30 Amendment 1 "Finish the Job" Rallies across the state! Be there tomorrow! May 30 Amendment 1 "Finish the Job" Rallies across the state! On June 1, the Florida Legislature will convene for a special session in Tallahassee to pass the state budget and decide how to spend Amendment 1 funds. Find a rally happening near you and add your voice! 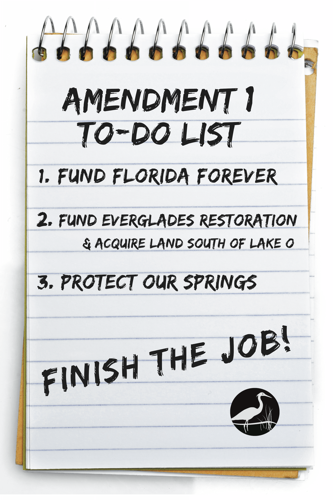 This is our last chance to convince our legislators to finish the job and protect Florida's natural treasures before they are gone forever. Please join us on Saturday, May 30: tell your legislators to fund water and land conservation!